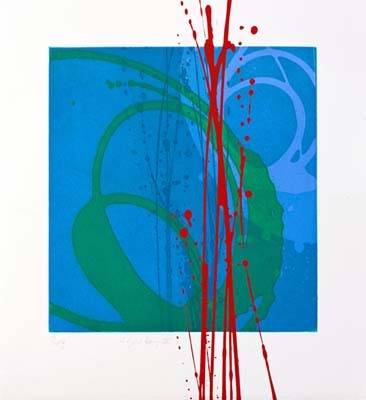 Charlotte Cornish studied Fine Art Printmaking at Brighton, then went on to postgraduate work at the Slade and Central St. Martins in the 1990s She is one of the leading exponents of the contemporary movement in abstract printmaking. 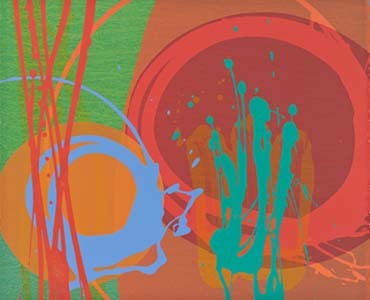 Her work is strongly influenced by her experiences of travel in Central America and the Far East. "I have always found inspiration from places I have visited. I often use photographs as an initial starting point for my compositions, but my paintings are not representations of places, but a mixture of elements from the seen world, and my own emotional responses and experience.